Attarinitiki Daaredi Day 24 : Crosses 70 Cr Mark!! Attarinitiki Daaredi : 5 Crores to Go!! Attarinitiki Daaredi : Karnataka inching towards 5 Crore Mark!! Attarinitiki Daaredi off to a Sensational Start! AD Breaks Baadshah US premieres record! 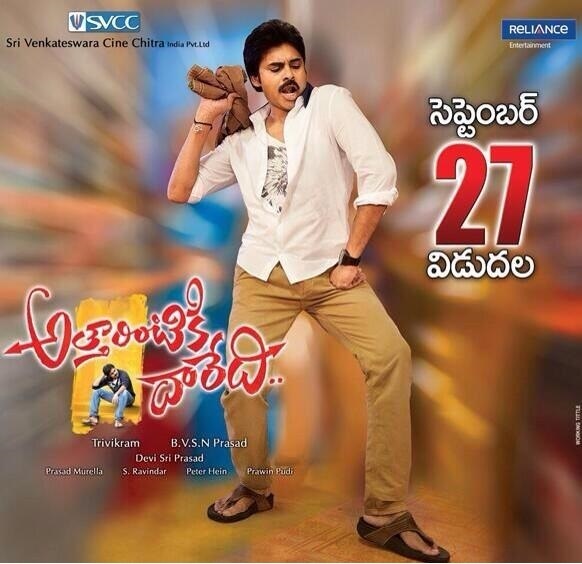 Fantastic advance bookings for AD | Day 1 record?